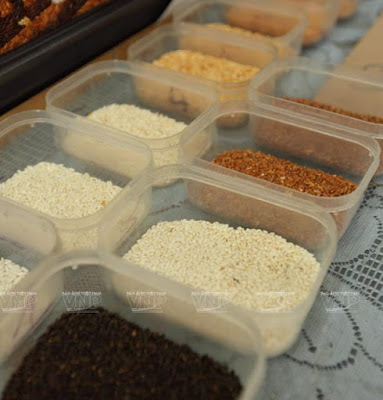 Rice is the staple food of developing countries, and did you know that it's rich in nutrients, vitamins and minerals; its also a good source of complex carbohydrates. But most Americans don't eat much rice when compared to the people of the Asian countries. 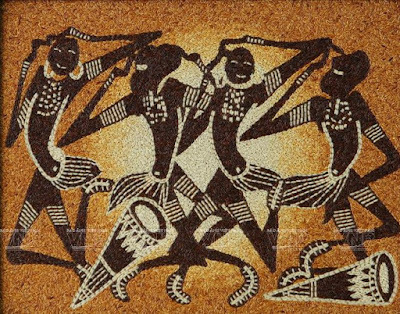 Well for most of us, rice meant food and never thought it to be a part of art or painting. Did you ever come across a rice grain painting? 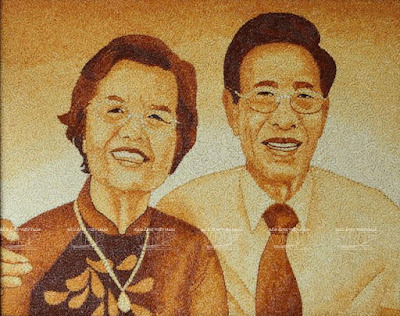 No we aren't talking about micro art, not the painting on rice grains but where paintings that are made using rice itself. 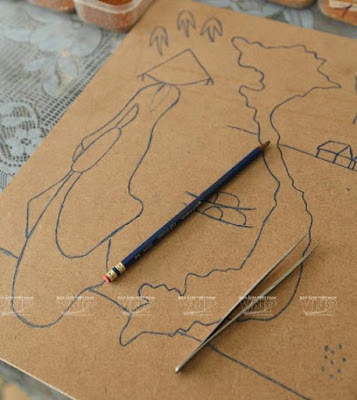 Well if you didn't, its learning time of the day. 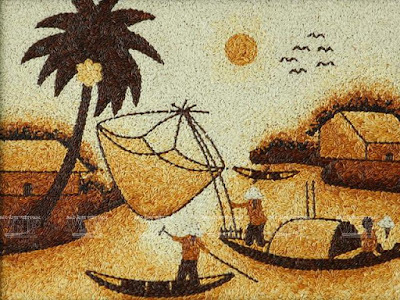 Artist Duong Huu Cuong creates rice paintings at his art studio 'Ngoc Linh'. 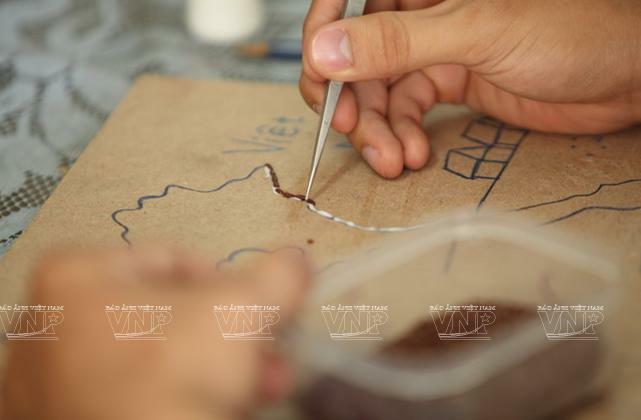 This team consists of ten talented artists, who work on rice mosaics. Their work features portraits, traditional landscapes, and animals. The palette consists of basic four colors - white, yellow, brown and black, which is created by frying rice grains under the proper heat. These four colors can further change into ten different colors. The color combination of the grains go a long way into getting the desired artwork. 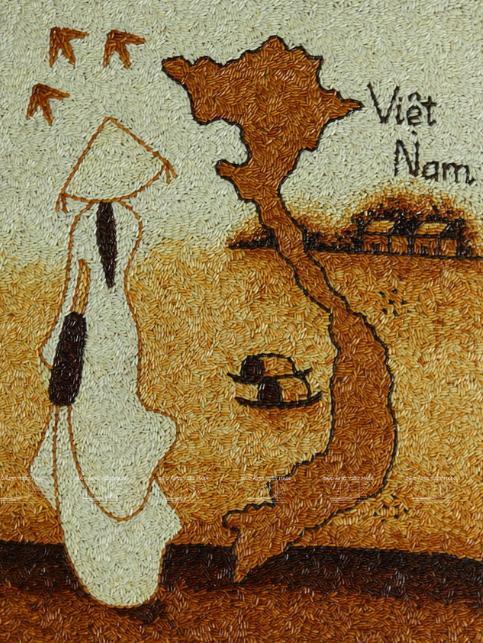 Creating these rice paintings requires lots of patience. 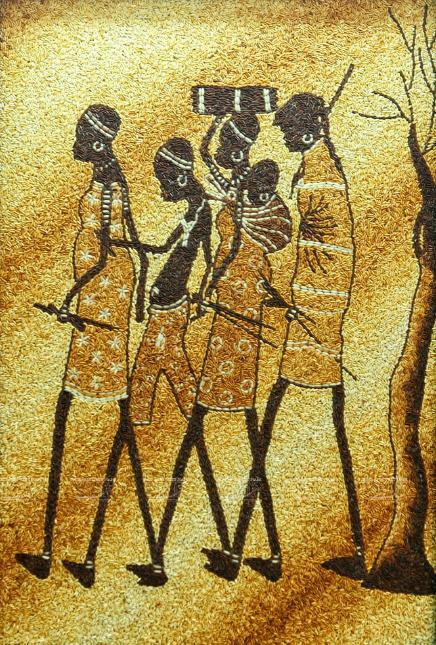 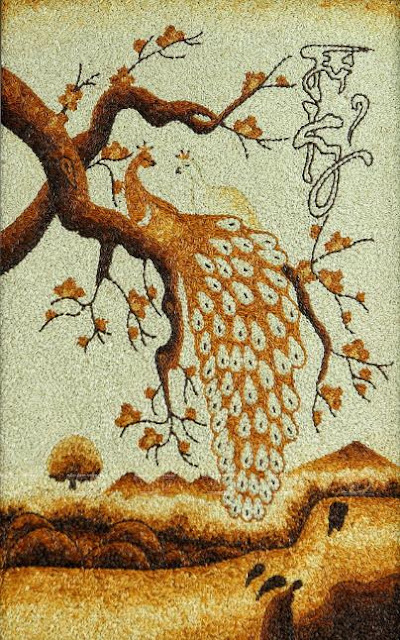 A rice grain painting of 80cm x120cm takes from six to twelve days for the artisans.